Each year, the IOEE’s Advisory Council carefully selects a number of key individuals for the distinction of receiving IOEE Honorary Fellowships. Representing the great and the good from the worlds of enterprise and enterprise support, every individual selected is an exemplar in their field. We took the chance to catch up with a few of our new Honorary Fellows. At the event Ruth outlined those attributes and characteristics that the Advisory Council seeks when looking to bestow this most prestigious grade of IOEE membership. 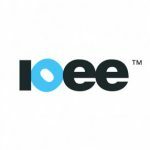 The core criteria for the status is that the individuals are recognised as having made a significant contribution to enterprise and/or enterprise support, and are willing to support and make a personal contribution to promoting the work of the IOEE. Despite the fact that all of this year’s Honorary Fellows fit the criteria equally well, they do so in a diverse variety of ways. We’d like to offer our warmest congratulations to all of the new Honorary Fellows, who we very much look forward to working with in the future.